With a protective thumb crotch and index finger, the Portwest Right Handed Hammer-Safe Gloves A795 are designed to protect against impacts from mechanical equipment and tools. Outstanding all round mechanical protection and high comfort from the polycotton liner, ensure that these gloves can be used for extended periods of time without becoming uncomfortable. The Portwest Hammer-Safe Gloves come in two different designs, one with special protection around the thumb and index finger on the left hand, and the other on the right hand. The A795 Gloves come with protection on the left glove, making them ideal for those who are right handed. 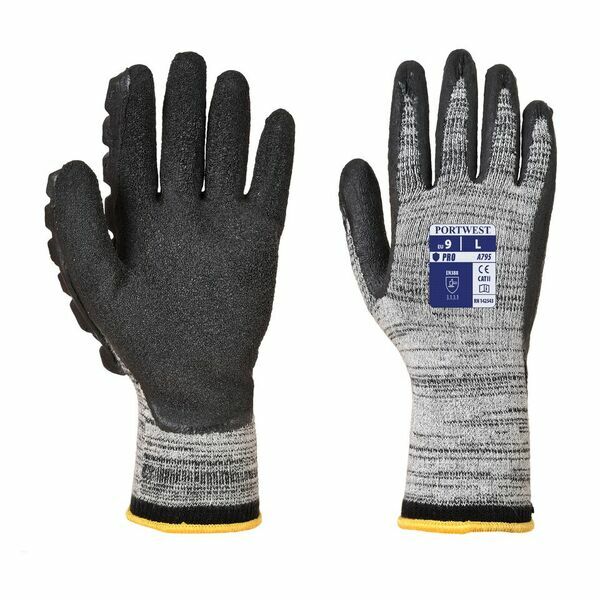 For those who are left handed, the Left Handed Hammer-Safe Gloves A796 may be better suited to you.